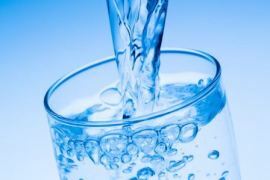 Ozonated Drinking Water - Is It Healthy or Not? Is It Healthy or Not? The pros and cons of ozonated drinking water are highly controversial. Some people have argued that drinking ozonated water has no proven scientific benefits and may even be unhealthy. Others believe that ozone has significant healing properties. Therapeutic use of ozone is not endorsed by the medical associations in English speaking countries. In fact, most states in America prohibit the use and/or marketing of ozone generators. The FDA and pharmaceutical companies have been suppressing all forms of ozone therapy for many years. The reason may simply be because it is so effective and is thus a threat to the medical and pharmaceutical companies. Yet there may also be some truth to the potential dangers of ozone, especially if it is improperly administered, either by drinking ozonated water or through one of the other therapeutic means. The primary purpose of this page is to address the potential advantages and disadvantages and to get feedback and comments from you, our visitors, to help others make educated choices. See the form below to submit your comments and experiences about ozonated drinking water! If you are not familiar with ozonated water, we recommend you read the following article about Drinking Ozonated Water and then come back here to evaluate the pros and cons and visitor comments. Drinking Ozonated Water -- What Is It and How Is It Made? Ozone is an unstable form of oxygen. The type of oxygen we breathe in every day is O2, which has 2 atoms of oxygen. Ozone is O3, which means 3 atoms of oxygen are bound together. Ozonated drinking water is considered by many advocates to be highly beneficial, regardless of one’s health condition. The effectiveness of ozonated water has to do with the strength of ozone in it. It kills viruses, bacteria, fungi and algae on contact. It breaks down harmful synthetic chemicals into less dangerous molecules. It purifies the blood of microorganisms by rupturing their cell walls. It kills some cancer cells, slows tumor growth, and may stop the spread of cancer. It provides more oxygen to the brain. In both scientific and health circles, most experts agree that unstable oxygen (i.e., ozone) acts as an oxidant in the body. We have all heard about the importance of antioxidants. However, the fact is that we need both oxidants and antioxidants in the body. I think the question we should be asking is how do we know if we have enough oxidants or antioxidants in our body and when do we supplement either? While oxidants are useful for destroying pathogens in the body that can cause disease, an excess of of oxidants can contribute to the disease process. It is a free radical that contributes to cellular damage. Some experts believe that ozone damages healthy cells along with unhealthy cells (such as cancer cells). The oxidants in ozone could contribute to the onset of disease. It might accelerate aging (just as any oxidant would do). It is acidifying in the body and thus puts more demand on the the body to pull bicarbonate buffers (i.e., minerals) from other parts of the body (bones, teeth, etc.) in order to keep the blood pH at 7.36 pH. Breathing in a substantial concentration of ozone is irritating to lung tissue and can be very damaging. With therapies such as ozone showers or even with ozone generators, ozone gas is emitted into the air in varying degrees. Thus, users are cautioned to keep the area well vented. Some advocates of ozonated water state that healthy cells are not damaged by ozone because of our cells' self-protective mechanisms. Others argue that even though ozone is an oxidant, it neutralizes other free radicals in the body. In other words, if it neutralizes free radicals it would essentially assist in the healing process and reduce inflammation. This comment forum is not active at this time. Click the links below to see some great questions or comments about ozonated drinking water from site visitors. The taste changed when the water I drink went from plain to 'ozonated'. Not cool. My experience with Ozonated water. I don’t want it to age me! Now I’m scared to drink ozone water! My dissatisfactions from drinking ozonated water. I am feeling great but still uncertain to long-term use..
We use ozonated water in our industry to destroy micro-biological organisms. Video Proving Ozone Generators Work! MY EYE SIGHT HAS IMPROVED, I HAVE MORE ENERGY, NO BRAIN FOG, LESS CHEST PAINS. I used ozone by drinking it and intravenously and have had not bad side effects. I feel great and I am able to walk without pain again. Testing the waters, ozonated water..
Are there chemicals ozone will not remove? Is Ozonated or Hydrogen water better? I think its worse then fluoride. Is more ozone affect taste of water? Why does ozonated water have a bitter taste? I tried using it to make coffee also and coffee is too bitter to drink. What is optimum temperature for ozonation? Is ozone water good or bad? Day 40 of drinking ozone every morning. Bottled Ozone Water - Is It Fake? Drinking Ozonated Water - What Is It and How Is It Made?